And this evening another show! 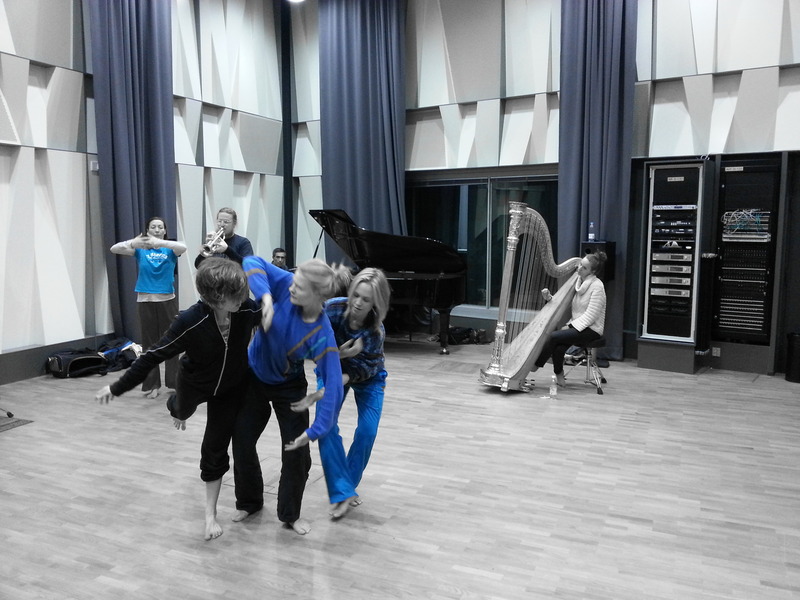 The first performance saw a group of highly committed and fully engaged performers producing two very different sets. I am extremely curious to see where they are going next, with this experience in the bag. Here is a short excerpt of last night first set. If you want to see more, the place is Tanssiteatteri Hurjaruuth at the Cable Factory in Helsinki, and the time is 19.00. Less than two hours to showtime. Take a look at this video interview with dancer Ulla Mäkinen and then make your way to Tanssiteatteri Hurjaruuth for the first of two performances of this year HMP Extended Edition. Ulla Mäkinen is a movement artist and teacher based in Helsinki, Finland. She has an MA in Contemporary Dance Pedagogy from the University of Frankfurt am Main, Germany. She is as well a certified Pilates teacher and an Iyengar Yoga teacher trainee. She performs as a freelancer and teaches contemporary dance, contact improvisation and alignment oriented techniques, traveling around the world. Second practice session for the group and everybody is really buzzing. 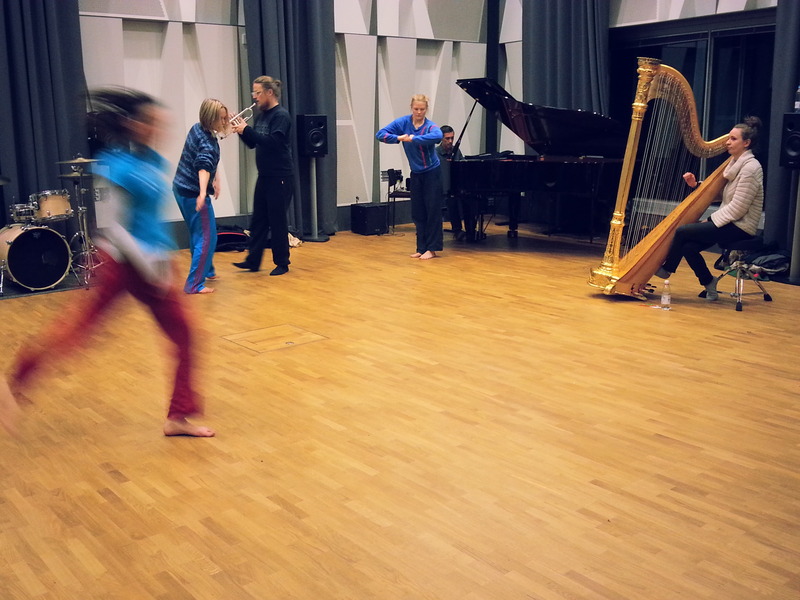 Familiarity among the performers is growing with a wonderful sense of curiosity. The group is really into learning by doing rather than talking at length and smaller groups, duets and trios, scores facilitated the getting to know each others process. 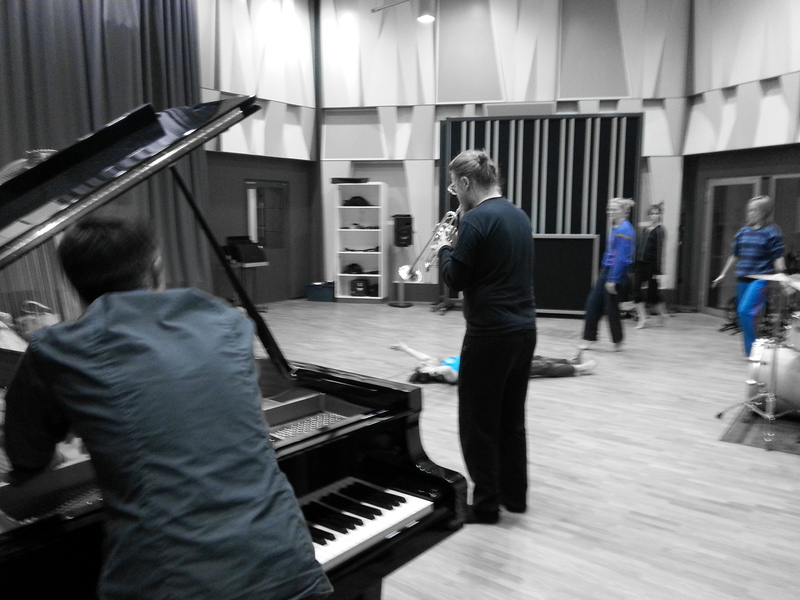 At the end of the session the group dived into the first half hour long set. Today we land into the theatre space and get ready for the evening performance. Images from the first session. As the second practice session is underway, we want to share some images from the first one. The group has broken the first layer of ice, so to speak, and they are quickly learning about each other. It is a true privilege to witness such a remarkable group of professional working and exchanging ideas. Saara has been co-producer of the Helsinki Meeting Point for three years and a crucial contribution in its development and continuity. This time she returns as a performer. 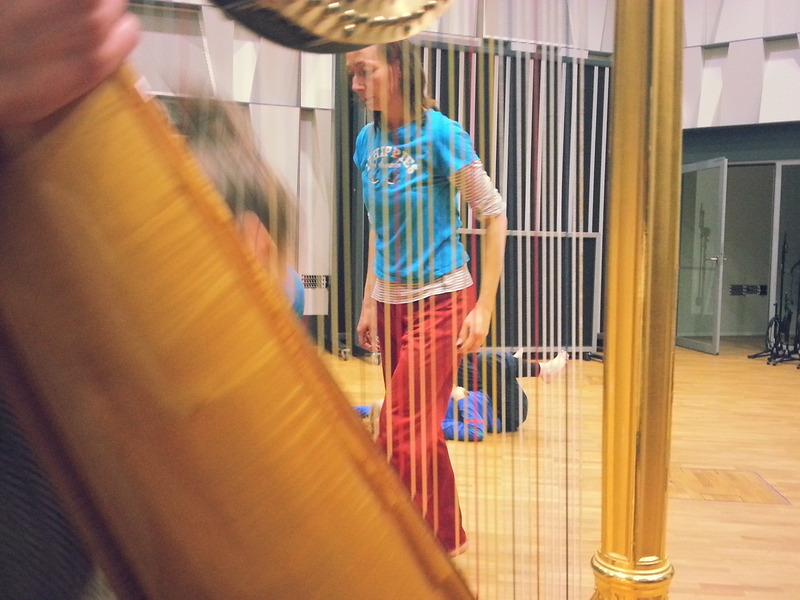 Don’t get deceived by the looks, she’s really a punk harpist! 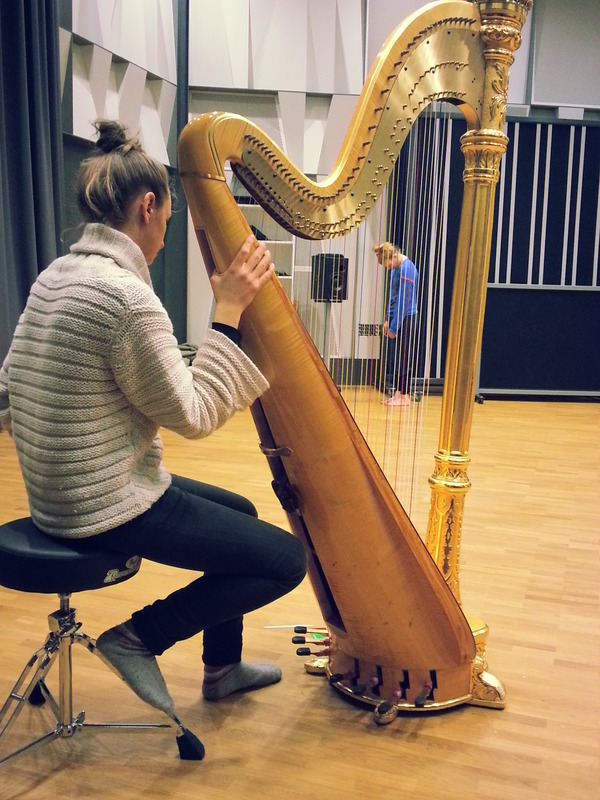 As uncompromising a musician as ever plucked a harpstring, Saara Rautioshares her time between solo contemporary works, orchestral repertoire, and improvisation. 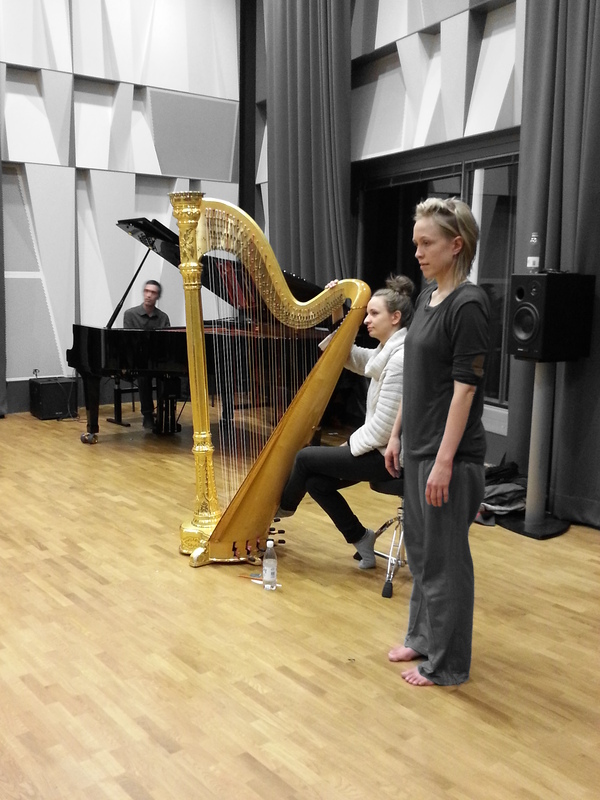 Able to make the harp sing, squeak, squeal or bark, her visceral playing has the capacity to provoke, delight or inspire. Don’t let the sweet smile and seraphic harpistry fool you: this is not a girl you would want to come up against in a dark musical alley! Third interview in this year series with pianist Libero Mureddu, edited by Ulla Mäkinen. 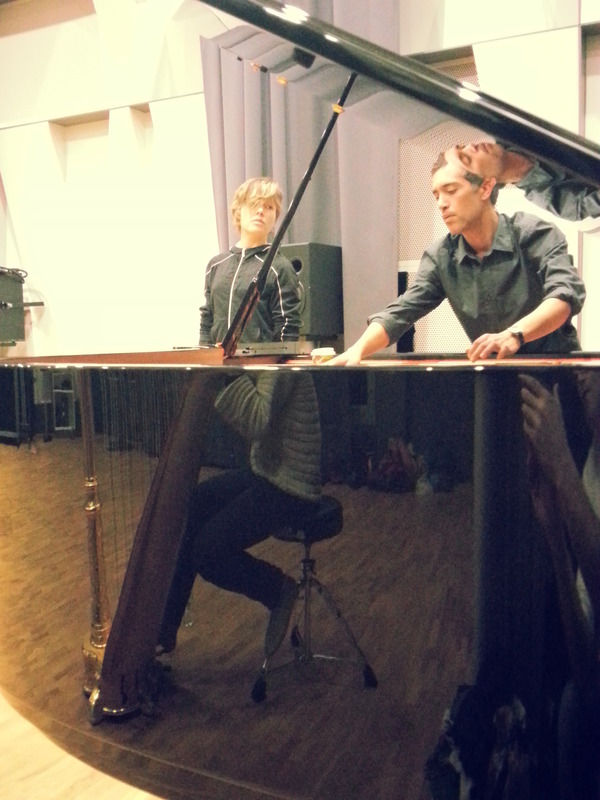 Libero Mureddu is an Italian-French composer and pianist based in Helsinki. He studied piano and composition at the Conservatory “G. Verdi” of Milan. In 1990 he begun piano Jazz studies with Daniele di Gregorio and Michael Rosen. Active pianist in the field of improvised music, with long-standing collaborations with Giovanni Falzone, and since 1999, with the Chant Trio, with drummer Cristiano Calcagnile and bassist Antonio Borghini. He studied electronic music with Alessandro Melchiorre in Milano and at the Centre for Music and Technology at the Sibelius Academy. 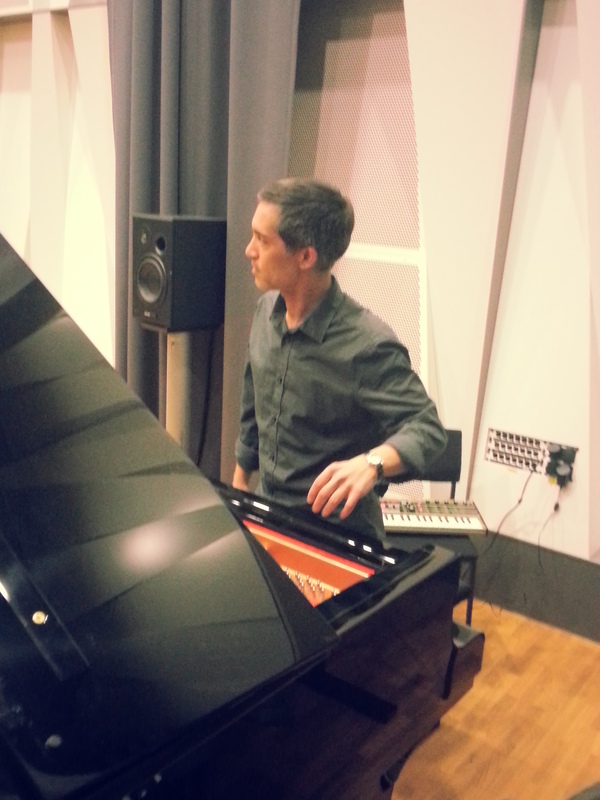 As composer, he is particularly interested in two fields: one is composing using the possibilities offfered by the Yamaha Disklavier, both as a standalone instrument and in a real-time performance, the second is the exploration of the connections between composition and improvisation.